Following the completion of a three-year pilot, the 2018 school year saw the Kids Greening Taupō programme expanded to four kindergartens and eight schools, significantly increasing the number of teachers, students and wider whanau members actively working towards the vision of Greening Taupō. The way in which schools utilise the real-life context of Greening Taupō for teaching and learning purposes varies and is determined by the age of the students involved and the structure and capacity of each respective school. However, underpinning all involvement is the opportunity for our children and young people to spend time in nature, collaborate across school boundaries and restore, grow and protect our local environment. Currently, participating kindergartens and schools are involved with 14 different restoration projects across Taupō town. Within the timeframe of this report, approximately 3,600 natives were planted and 400 seeds propagated, while some great support and assistance was derived from 990 community/volunteer hours and over $40k of in-kind donations, including $25k sponsorship of radio/digital promotion from MediaWorks. With assistance from the Department of Conservation, three new videos about the programme were recently made and soon to be launched through YouTube and our website. We are extremely thankful to representatives from our community partners and other experts like Ruud Klienpaste (aka – The Bugman), the infamous local ecologist Nick Singers and Topia Rameka (CEO of the Tūwharetoa Māori Trust Board) who have all helped to increase teacher conservation knowledge and understanding, including the facilitation of three fabulous professional development workshops. This year was also earmarked by modification to the way in which our Student Leadership Team works. Most significantly has been the involvement of the parents/caregivers of student leaders, ensuring that these children and young people were able to participate and hold roles of responsibilities at our community planting days. Through the participation of these students and their families, our community planting days seem to have been infused with an extra dose of energetic vibe. Additionally, the senior Student Leaders Team representatives now meet monthly at the Department of Conservation through which they are being introduced to art of governance and the necessary skills they require to genuinely take an active role in programme development. 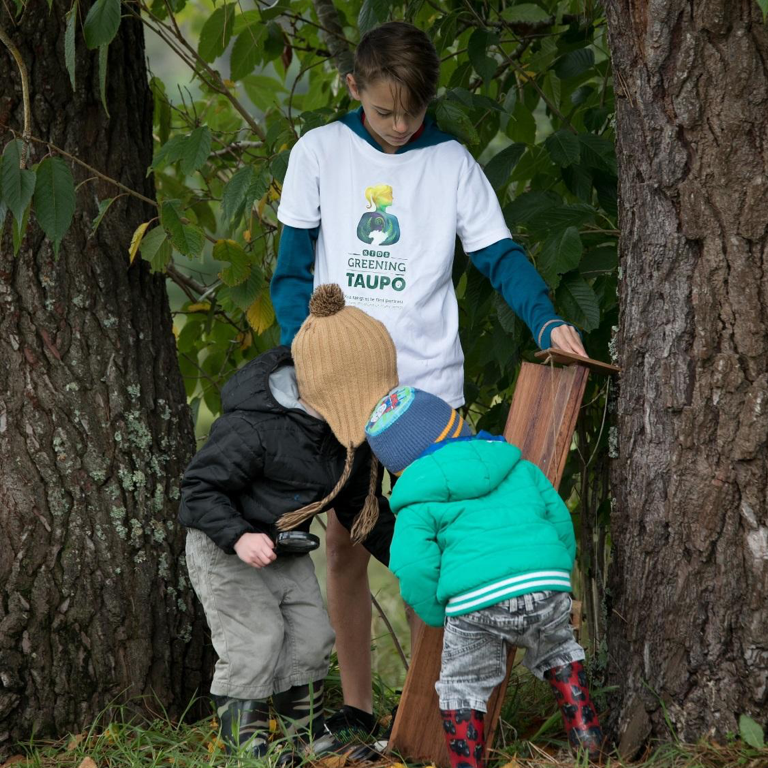 Lastly, the Collaborative Community Education Model of which Kids Greening Taupo is underpinned by, is beginning to rub off on the district’s wider environmental education scene with the development of the Environmental Education Collaborative, otherwise known as EEC. This newly implemented framework has been established with the aim of effective and efficient delivery of environmental educational initiatives throughout Taupo District. Students from Taupo Primary work alongside of Cheal Consultants staff member, planting natives at Spa Park as part of a company community service project. A tuakana teina approach (e.g., big kids helping/teaching little kids) is an integral part of the Kids Greening Taupō programme. 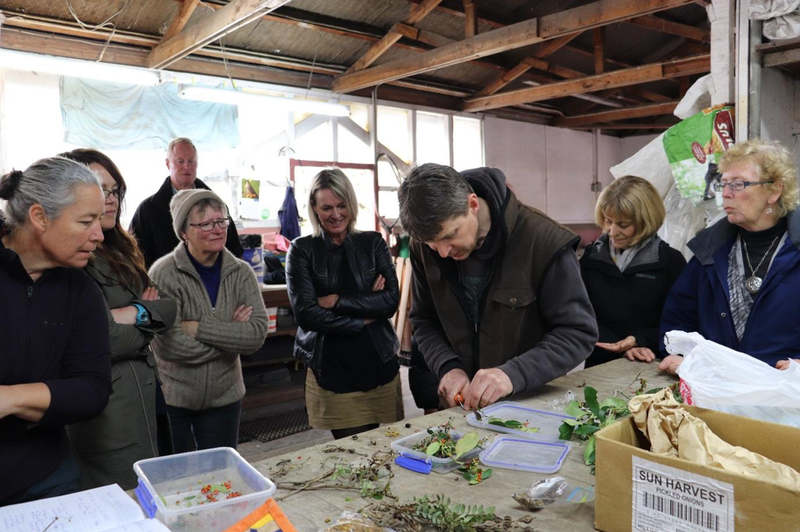 Helping teachers upskill in conservation education through professional development workshops, like Propagation 101 facilitated by local ecologist Nick Singers, is paramount for increasing awareness and participation of children and young people.